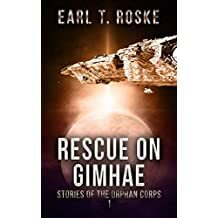 Synopsis: The people of Gimhae are afraid. The presence of the Marines doesn’t help. When the Marines kick a hornets’ nest of trouble, it’s up to the Hospitallers to repair the damage. Can Sgt Seavers and his squad rescue the Marines? And finish their original mission to aid the people of Gimhae?